Opera 9.5 was officially released today. I started to play with this version today and I must say I am quite impressed! 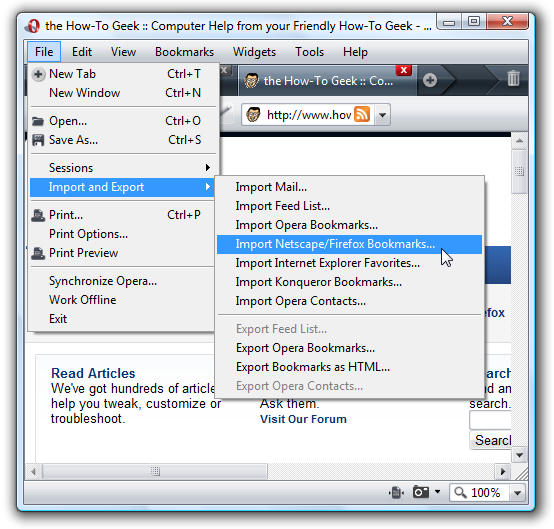 Here is a quick how-to on importing your Firefox bookmarks into Opera. 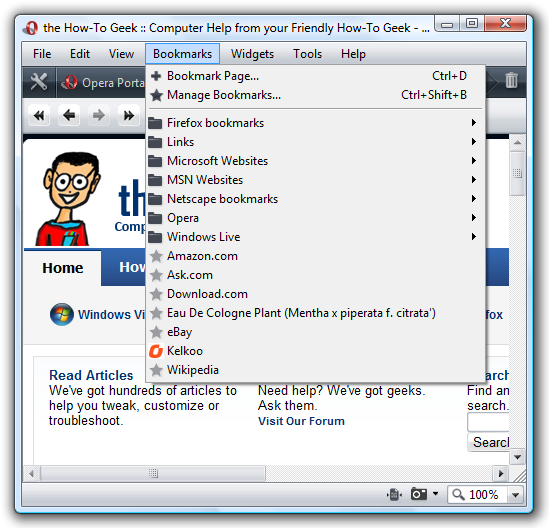 The first thing I did was open up the bookmarks management console in Firefox. Click on File Export. 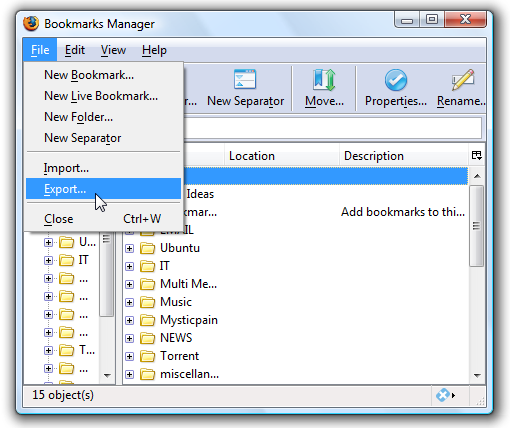 This brings up an Explorer screen to choose the directory to save the bookmarks file in. I am just placing my on the desktop. 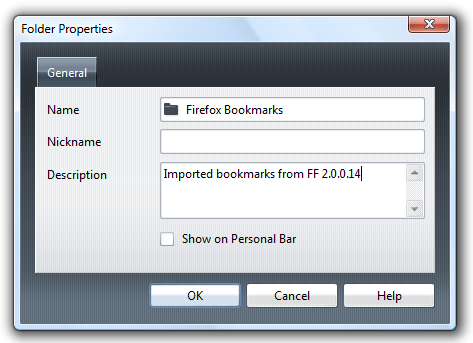 Now navigate to the Firefox bookmark file you just created and double click “bookmarks.html”. The next screen is a confirmation indicating the entries imported. 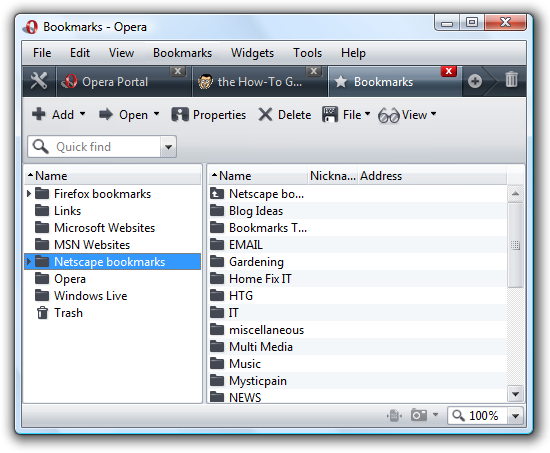 Click OK.
Now when I opened Opera and went to the bookmarks tab all of my Firefox bookmarks were put into the Netscape folder. We can easily change this. 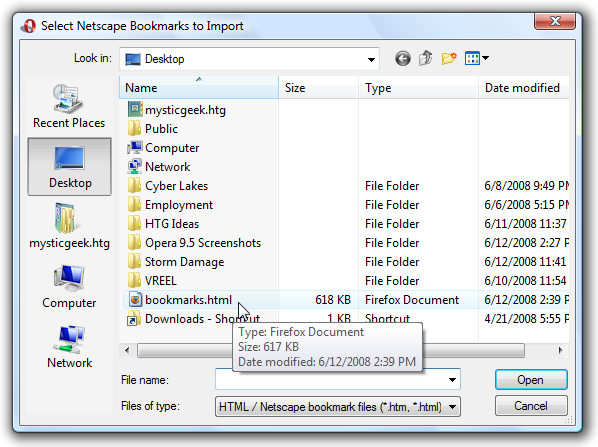 Just click on the Manage Bookmarks tab navigate to the Netscape folder, right click and choose Properties. 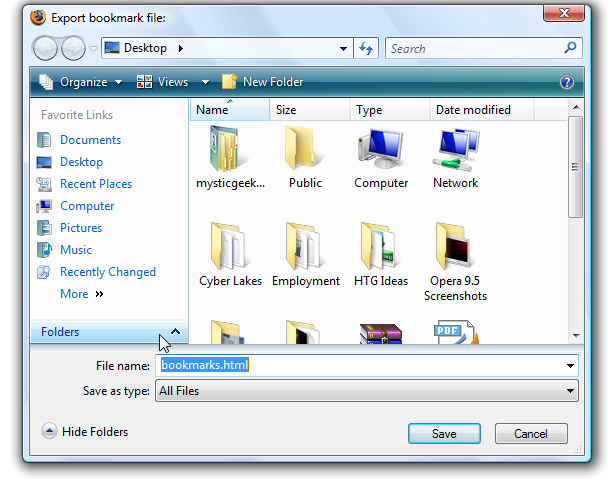 This brings up a window similar to that in Firefox where we can rename the folder and other descriptive information. This is a quick tip so you can have all of your favorite pages to surf in Opera 9.5 while waiting for the release of Firefox 3 on Tuesday, June, 17th!